This is the age of the customer. Customers run the show today because in our lightning-fast, digitally connected world they have so many choices. If your customer support team doesn't deliver a great customer experience, another supplier is just a few clicks away. So how do you differentiate yourself to retain customers? 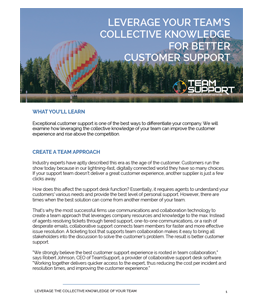 Collaboration enables you to provide an outstanding customer experience, which is why successful companies are embedding it right in their customer support processes. 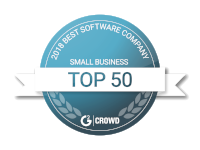 The ideal solution is a cloud-hosted help desk service that includes collaborative tools along with native integration with CRM applications and other business functions.